A revaluation is when a municipality establishes an official value of real property within the municipality. The purpose of a revaluation is to fairly distribute the tax burden among all property owners based on the current value of their property. Real estate is appraised so that all property owners fairly share the costs of Town services, such as police protection, street maintenance, plowing snow, maintenance of Town park and many other services. Real property must be assessed at the same standard of value to ensure that every property owner is paying his or her fair share of the property tax. For example, two properties having essentially the same market value should be paying essentially the same amount of property tax. When was the last revaluation done in the Town of Fenwick Island? The last revaluation was conducted in 1976 – 43 years ago! Who will be doing the revaluation? 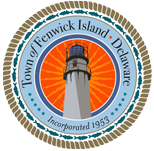 The Town of Fenwick Island has contracted with Pearson’s Appraisal Services to conduct the revaluation. How is market value of my property determined by the revaluation firm? Licensed assessors review information from inspection of property, and analyze and compare all recent property sales in each neighborhood. Those comparable sales are used to formulate the valuations in that specific neighborhood. Variables, such as age, size, quality, condition, location and amenities are important factors given consideration. How are businesses or commercial properties revalued? Revaluation of commercial properties works much the same way as revaluation of residential properties. Trained certified assessors gather information, such as physical characteristics, replacement cost, land values and circumstances regarding any recent property purchases. Income and expense information may be requested because it is related to what investors are willing to pay for property. Most likely, yes. However, not all property values will change at the same rate. While some properties may increase in value, some may remain the same. Market values may actually decrease for some properties. One purpose of a revaluation is to make sure that the assessed value reflect the changes that have occurred in property values. When will I be notified about my revaluation? A licensed assessor will begin the field work in February 2019. Property owners will have the chance to meet with the assessor to ask any questions about the value estimate. What should I do when I receive the proposed real estate property assessment letter? Read the letter carefully. You will find not only the new valuation of your property, but instructions on how to proceed, depending on whether or no you agree with your property’s assessment. If you believe the new valuation is an appropriate assessment of your property’s value, you don’t need to take any action. If you are not satisfied with the result of your new assessment and wish to discuss your new assessment, please refer to the letter for dates and times that you can discuss this with the assessor. Will the new Town revaluation affect my Sussex County assessment? No. Sussex County taxes and the Town of Fenwick Island taxes are calculated independently. This revaluation will not affect your Sussex County taxes. If you have any other questions regarding the revaluation or your tax bill, please contact Town Hall at 302-539-3011. Question: I understand a property revaluation is underway, and we should expect increases in value since it has been decades since the appraised values were set. And assessed value is 50% of appraised value. With the new probably much higher valuation and assessed value, will the tax rate of $1.92 per $100 of assessed value be changed? Or will the formula for value and assessed value change? Tax rate upon reassessment; notice. (a) When any total reassessment of taxable properties within a municipal corporation of this State (hereinafter “municipality”) shall have become effective, a tax rate shall be computed so as to provide the same tax revenue as was levied during the prior fiscal year. That rate shall be known as the “rolled-back rate.” Any initial assessment made on new construction shall not be taken into account in determining such limitation. (b) The ordinance establishing a property tax rate upon total reassessment shall state the percent, if any, by which the tax rate to be levied exceeds the rolled-back rate computed pursuant to subsection (a) of this section, which shall be characterized as the percentage increase in property taxes adopted by the governing body. Within 15 days of the meeting at which the ordinance shall be considered by the governing body, the municipality shall advertise, in a newspaper of general circulation in the municipality, said percentage increase in the tax rate. Because the properties are valued at a more current basis than before, some individual property taxes will go up and some will go down, but the total revenue generated will stay the same. It has been approximately 43 years since the Town re-valued property. The values will be distributed more fairly. If the Council wishes to generate additional revenue through a tax rate increase, it would need to establish a new rate and advertise the new rate as a tax increase. The law was designed to avoid just the circumstance you referred to in your email.